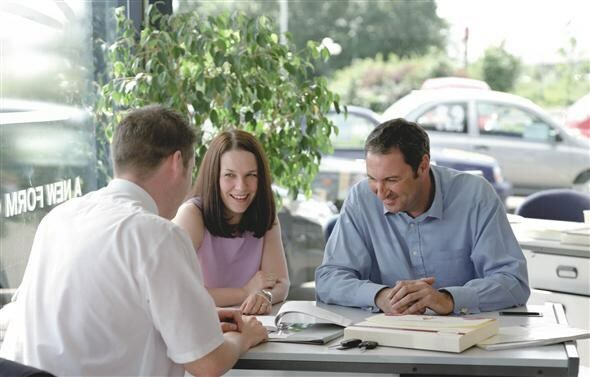 Worried about buying a car with outstanding finance? Most buyers usually get worried when they see a car for sale with outstanding finance on it but if you take the correct steps to ensure everything is accounted for when buying a car with unpaid finance on it can be a relatively painless and safe process. Even if a car is advertised with no finance outstanding it's imperative that you get a car history check to make sure that there's no negative history against it. The seller may either not be aware that there's an issue with the car, or they may simply not want to tell you. The reason you need to check is because if some kind of finance is outstanding on a car then the company responsible will still have an interest in it, until it is paid off in full. That means they could chase you for the money instead, or attempt to repossess the car without giving you a refund. If a history check, or paperwork from the seller, shows there to be finance against the car for sale then the first step is to check with the listed company to see whether it has been settled or not. They should be able to tell you if it's been fully repaid over the phone but if you can it's best to ask for written confirmation and only buy the vehicle once you have it. If the finance is still outstanding, ask the seller to get a settlement figure in writing. Finance companies will not supply this directly to you, as the information is covered by the Data Protection Act. You can then speak to the finance company and confirm this figure with them. The leftover finance should then be paid off directly to the company responsible, either by card or post, and any remainder of the original purchase price paid off to the owner. If the settlement figure is greater than the asking price, then both you and the seller should pay the finance company together. Alternatively the owner can settle the finance in full, which you still need to confirm with the company, then you can buy the car. Once everything has been processed then the company should automatically remove the record of finance against the vehicle. Do not, in any circumstances, pay the full amount for the car with the 'understanding' that the seller will later pay off the finance because there's every chance that they could take all the money and not pay the finance, leaving you in a difficult situation. Lastly, if you're not happy with any arrangement or feel uneasy about buying the car, don't be afraid to walk away. Used car buyers should carry out a car registration check before buying any car in order to make sure it hasn't been involved in an accident, stolen, or is subject to outstanding finance. Even if no finance record is shown a car can still have money owned against it and a car check will offer insurance and protection against this. Parkers works in partnership with carloans4u, to find out more about getting a loan and an idea of what your monthly repayments could be, click here to head to our dedicated section.